Flying Lessons: Did Pilot Trash Talk Air Canada? The pilots are engaged in a bitter contract dispute with the airline and Capt. 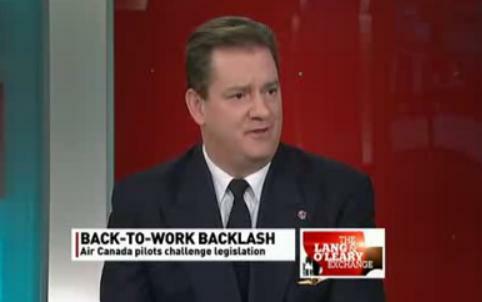 Strachan's appearance on CBC News program Lang and O’Leary Exchange last month was an attempt to explain why the pilots' pay demands are reasonable. He offered up this retort to the Air Canada’s claim that of the 500 highest paid Air Canada employees 450 of them are pilots. "That's the way it should be. Who are the highest paid employees at a hospital?" Well he sure led the interviewers toward that conclusion. Kevin O’Leary asked him at one point, "Are you destroying your brand?" "The brand is us," Capt. Strachan said smugly. Feel like déjà vu all over again? Here's why. I would hesitate to endorse every sentiment expressed in this article. If this senior captain (in desperation?) finally expressed his concern with maintenance quality at cheaply contracted repair stations in the open media it may be because he voices the concerns and experiences of many pilots. This issue is a concern for many crews in north Anerica. The pilot is obliged to attract the responsibility of safety for every flight. For those of us in the business of safety control it is often sad to see what happens to a captain who refuses (as the law requires him to do! 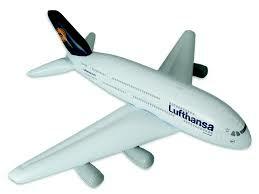 )to accept an aircraft with unacceptable deferred defects. I do not think the facts on both sides have been looked into here. The safest place for any aircraft is on the ground. That, however, will not allow for it to be used for its intended purpose, revenue, rescue, pleasure, etc. "To fly or not to fly, that is the question." Makes me wonder if he thinks that the same workers would be acceptable working on the airplanes if only they were paid more? I suspect what he intended to say (and I agree) is that it's time aircraft maintenance workers were respected (and compensated) for the real professionals they are. An A&P Cert/JAR66B1/CAA B1/B2 takes many years of expensive training. Most carriers do not compensate commensurately will the skills and training required. This man flagged a potential safety issue in his airline. He would not have done that without reason. So the messenger is not only shot by his employer but also crucified by the medium and its readers? He needs to be commended for displaying huge courage of a big issue not only at his airline but all over the continent. Andries, with all due respect, that's nonsense. It is my understanding Air Canada is not even using that MRO. Further, if he has some indication that the facility is unsafe, and outside of the salary scale for mechanics, he did not mention it, he needs to report it to an authority, not to talk show hosts. If he in fact had NOT discussed it with his employer, if in fact it is NOT a relevant issue but was his compulsive need to get noted in the high media on some speculative opinion he harbors, if NO other pilot shares his view, if maintenance quality is NOT a concern at the operator, then he not only needs to get fired but also charged with libel. And I believe any self respecting employer will to do just that. So that was said because the employer had given no indication as to where MRO-level maintenance would be performed. Ironically, the next evening AC experienced a landing gear/nosewheel-steering failure on an A320 aircraft ex-maintenance in Trois Rivieres (where its aircraft had never been maintained previously). Were the concerns bona fide? They will still shoot the messenger - or slowly starve him of breathing and speaking space.